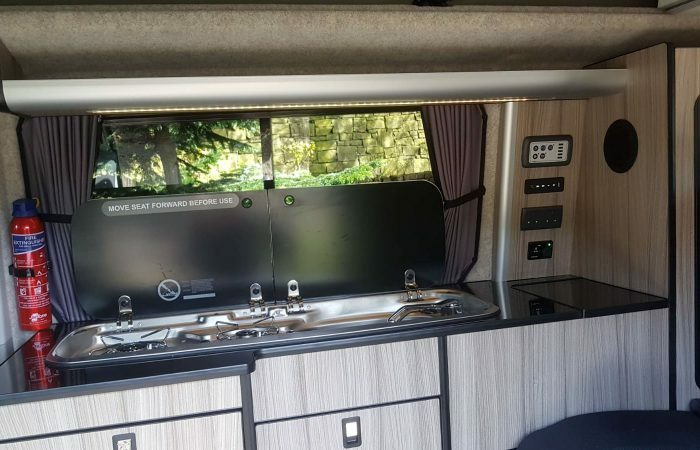 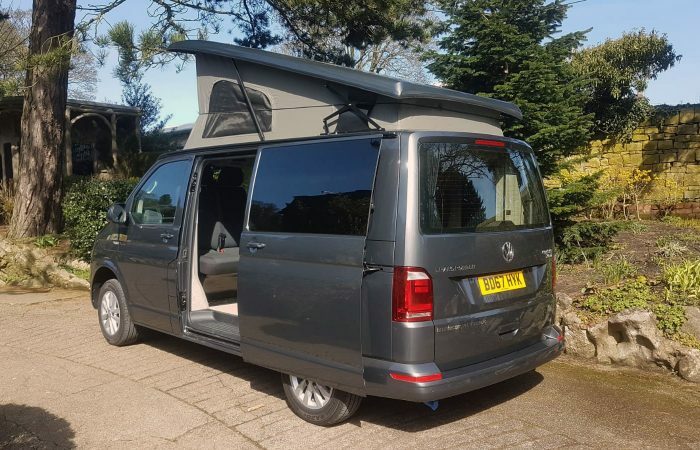 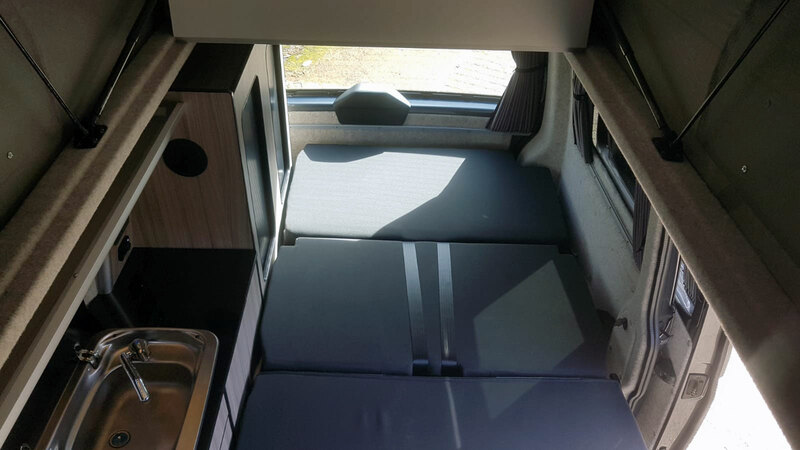 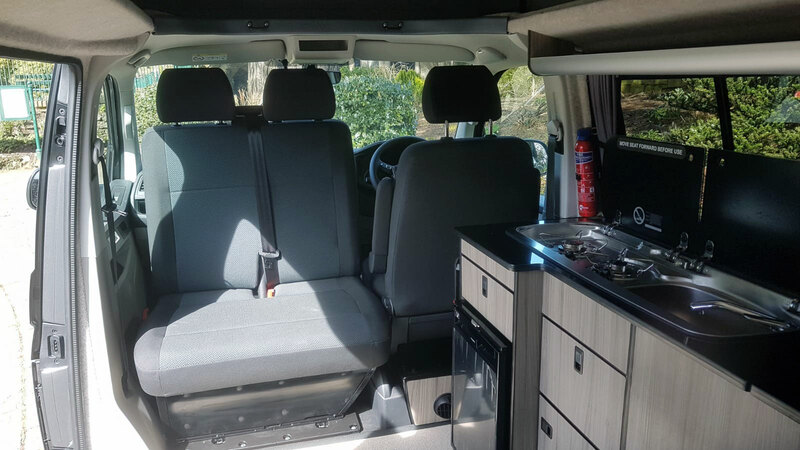 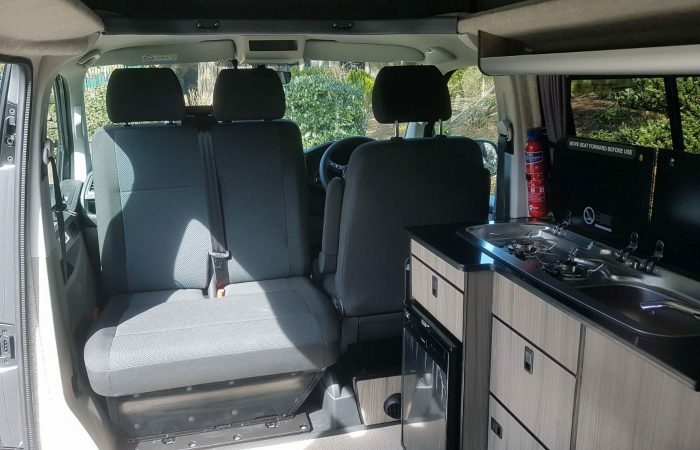 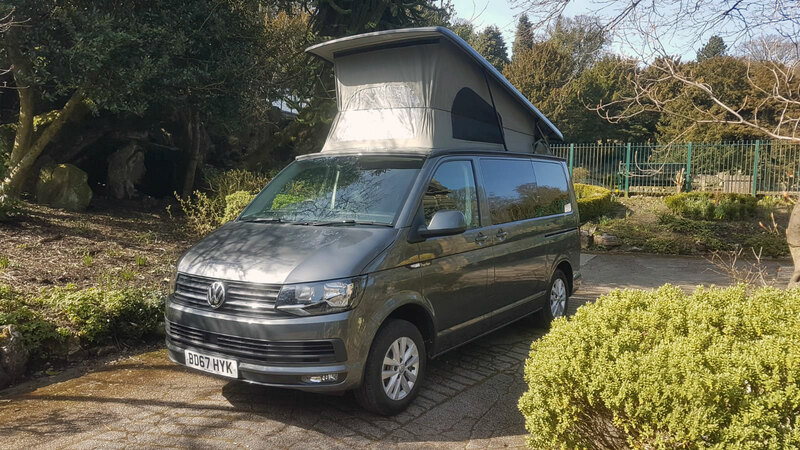 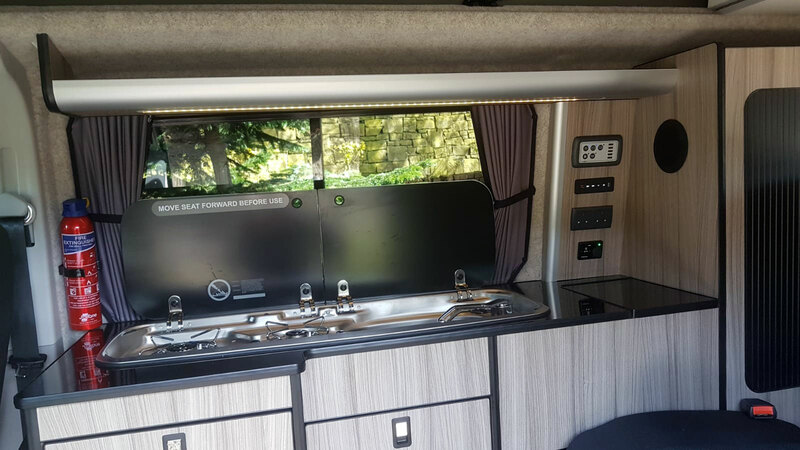 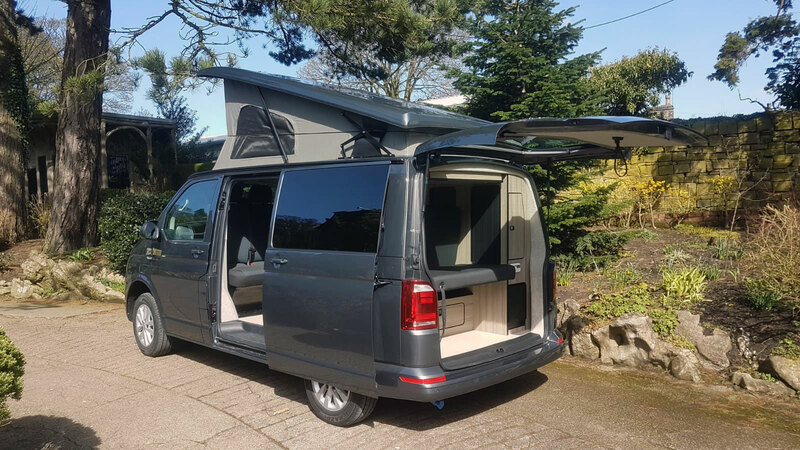 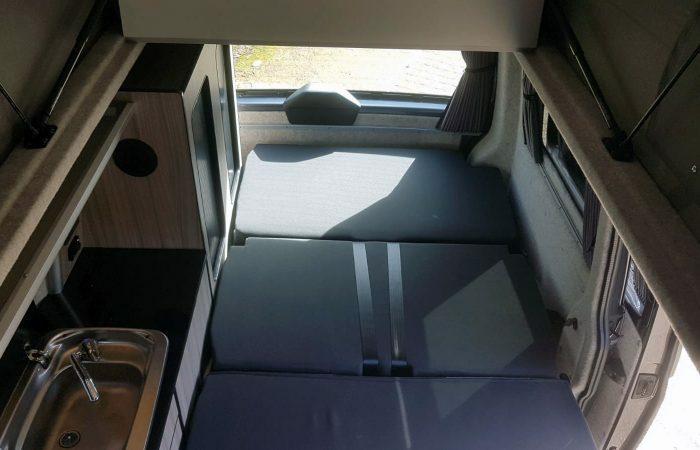 Thornton is our brand new 2018 Highline T6, professionally converted in-house at Bronte Camper Hire. 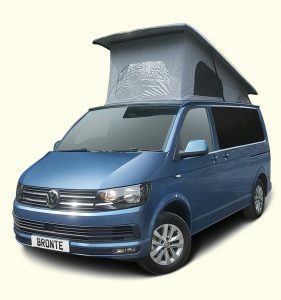 Volkswagen are renowned for their build quality, reliability & engineering. 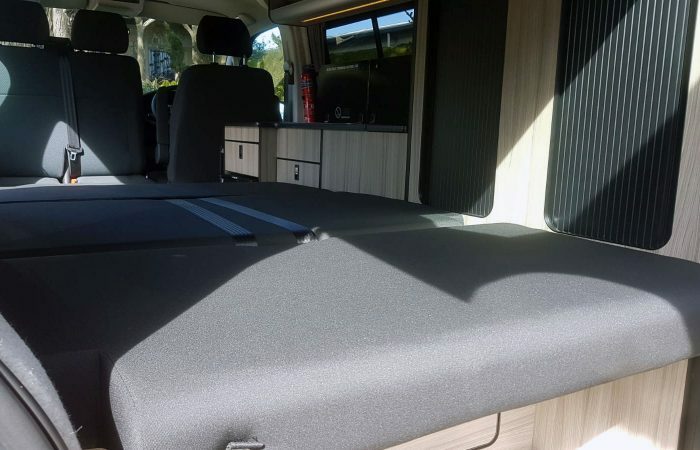 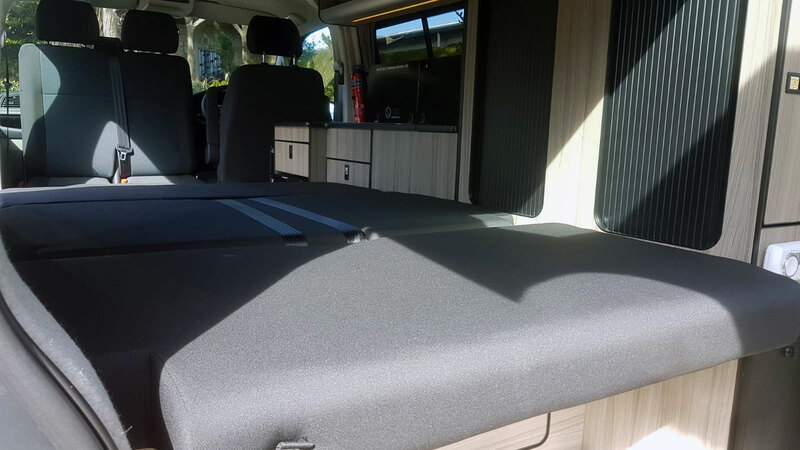 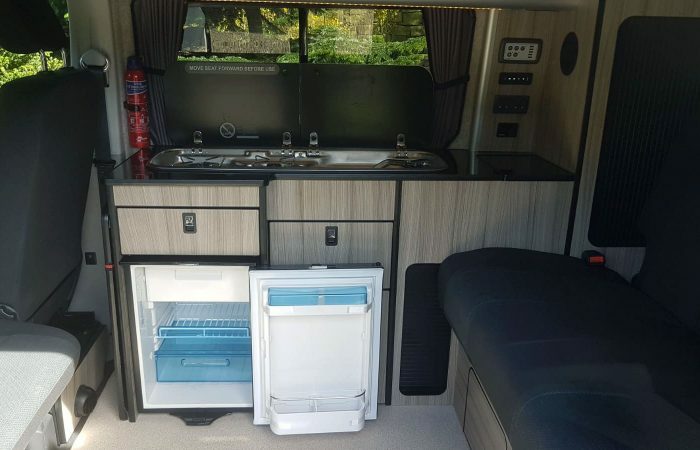 The conversion has been built using only the highest quality materials & best available products on the market with safety & style bring paramount. 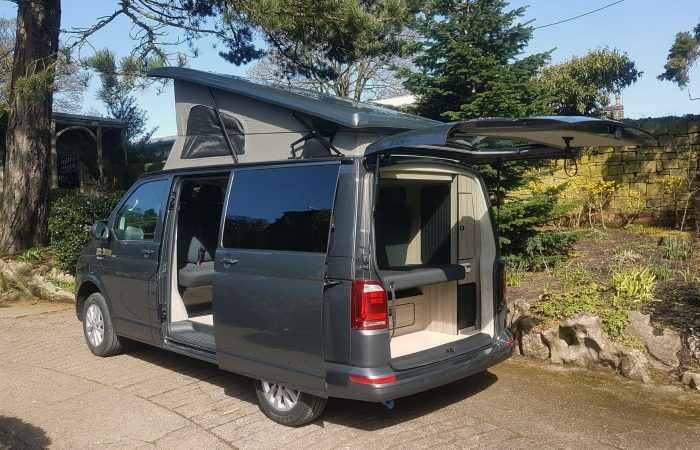 Taking feedback from our customers over the years, our T6’s have been designed to meet demands. 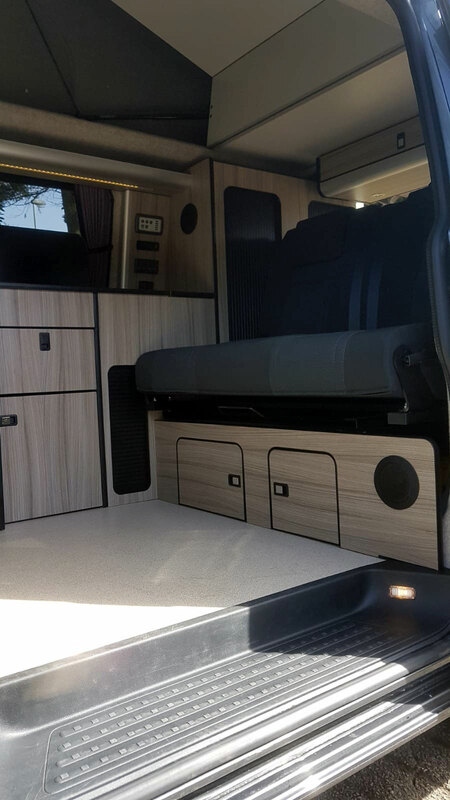 Contoured seating, flips & converts to a perfectly flat bed within moments. 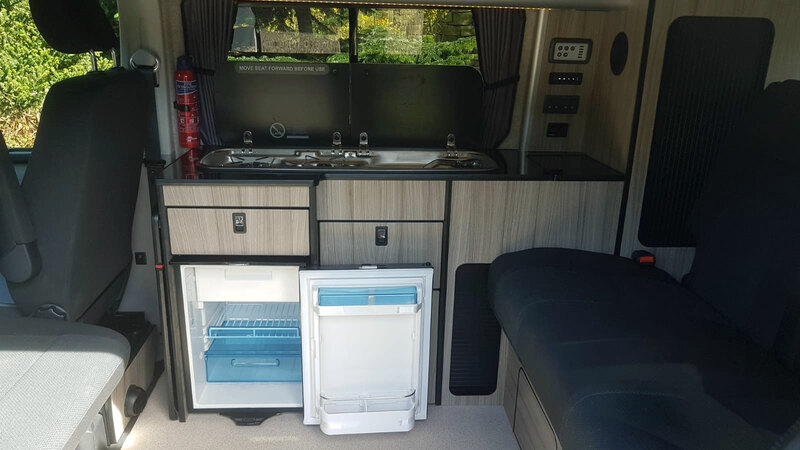 We have also fitted a 50 litre fridge, together with freezer compartment. 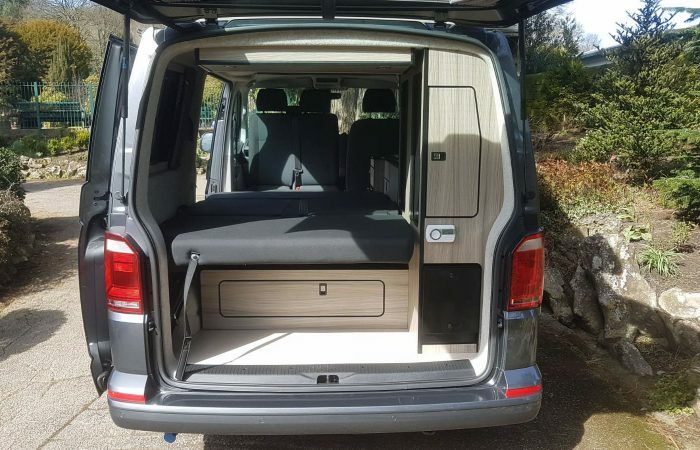 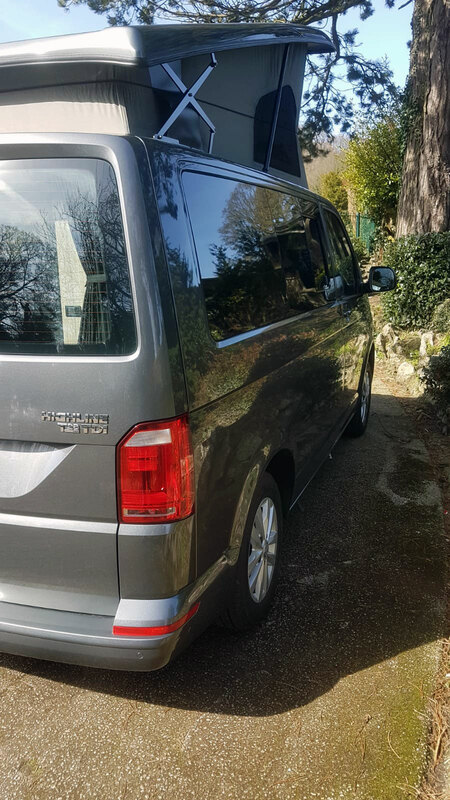 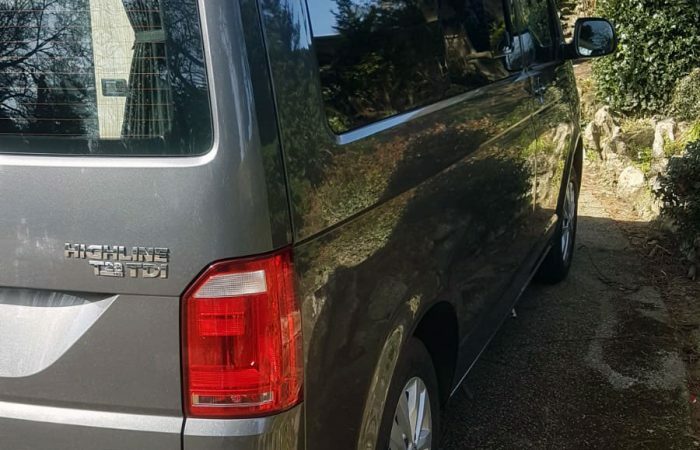 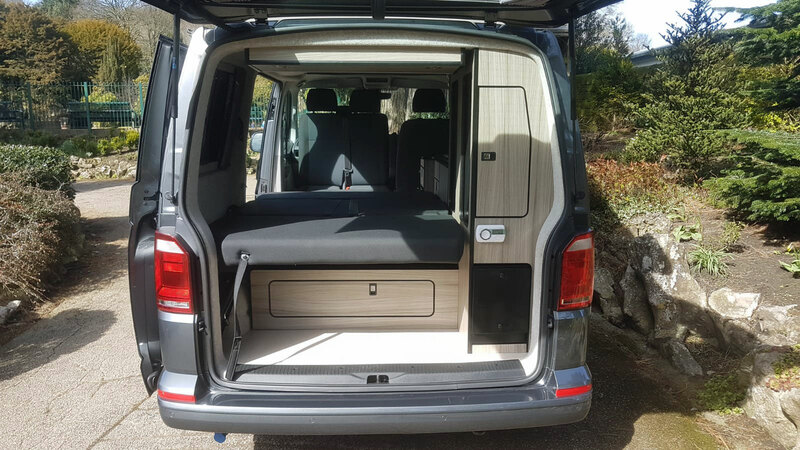 Our T6’s have far more creature comforts giving you a luxury ‘car-like’ feel up front, rather than a commercial vehicle. 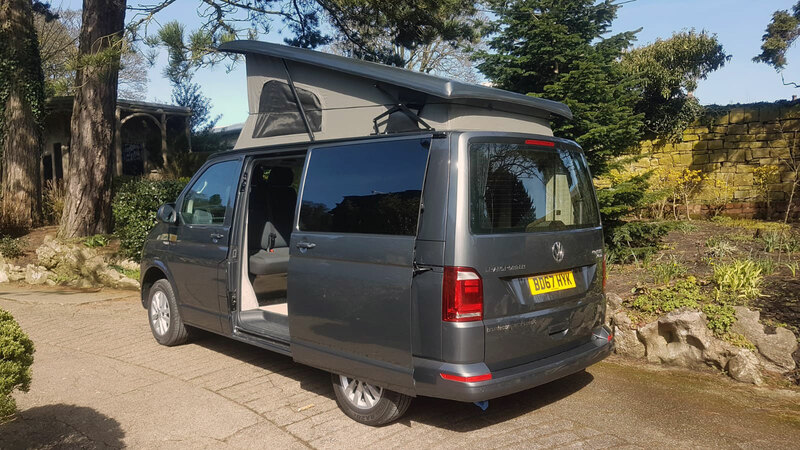 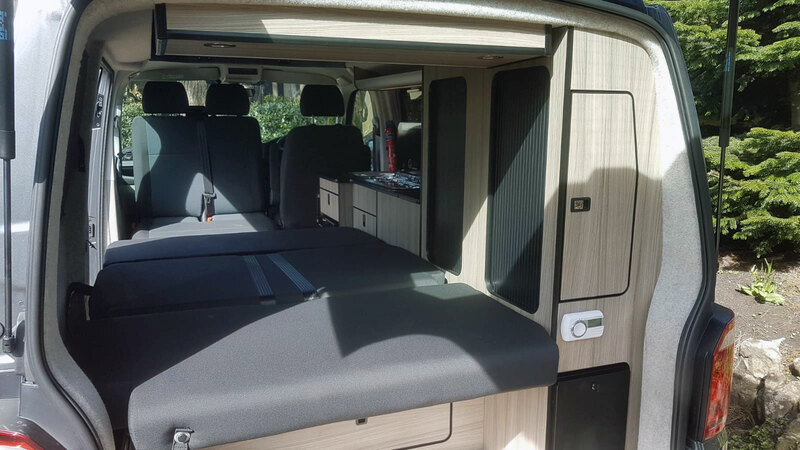 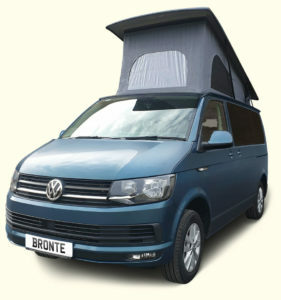 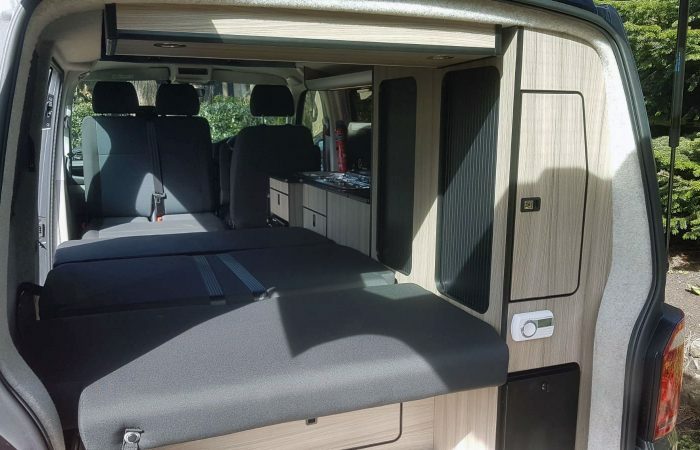 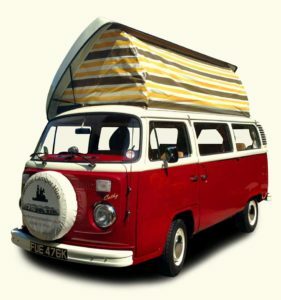 Our top of the range T6’s will ensure a true glamping experience this season. 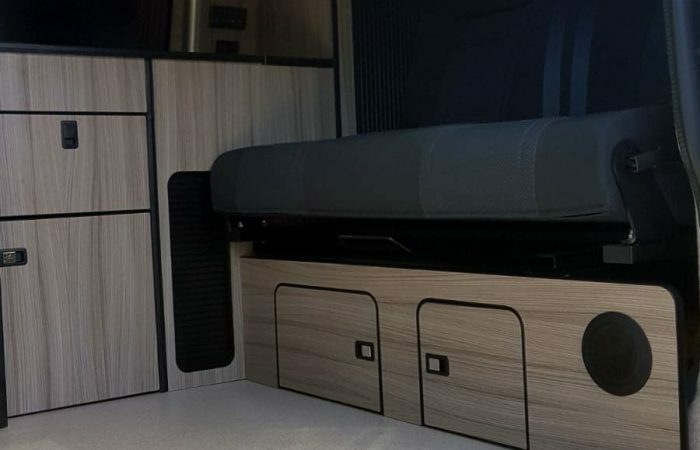 RIB Bench Style Seating which flips to create flat double bed. 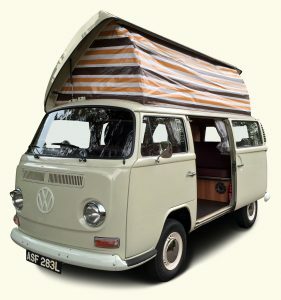 Elevating roof with double roof bed.